"One of the best continuing education courses I've ever taken." "I loved every minute of this course." "Comprehensive and informative. Very thorough." 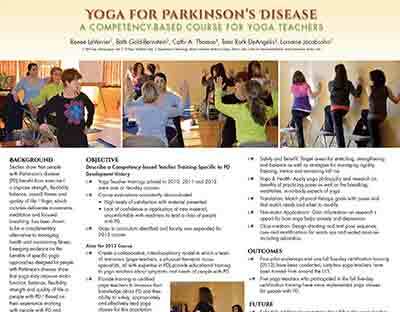 "Renee's experience with yoga and PD was invaluable." 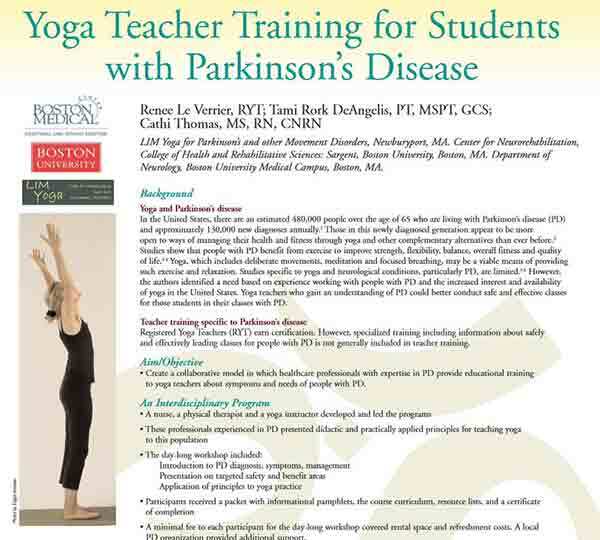 About the Presenters Renee Le Verrier, E-RYT, is the author of Yoga for Movement Disorders (winner of the Eric Hoffer Health book award). She has taught and presented throughout the U.S. & Canada, including the World Parkinson Congress and the American Parkinson Disease Association. A stroke survivor and person living with Parkinson's, Renee teaches a weekly online class sponsored by the Northwest Parkinson’s Foundation. Her yoga blog has been named Best of the Web by Healthline. Maria McGee, CYT, owner of Lotus Tea Bar & Studio, believes in yoga for every body. She is certified in teaching senior yoga, kid’s yoga and prenatal yoga and has trained in anatomy & alignment, therapeutic yoga and yoga for Parkinson’s. Maria weekly and bi-weekly classes include Fitness through Yoga, Gentle Yoga and Chair Yoga.